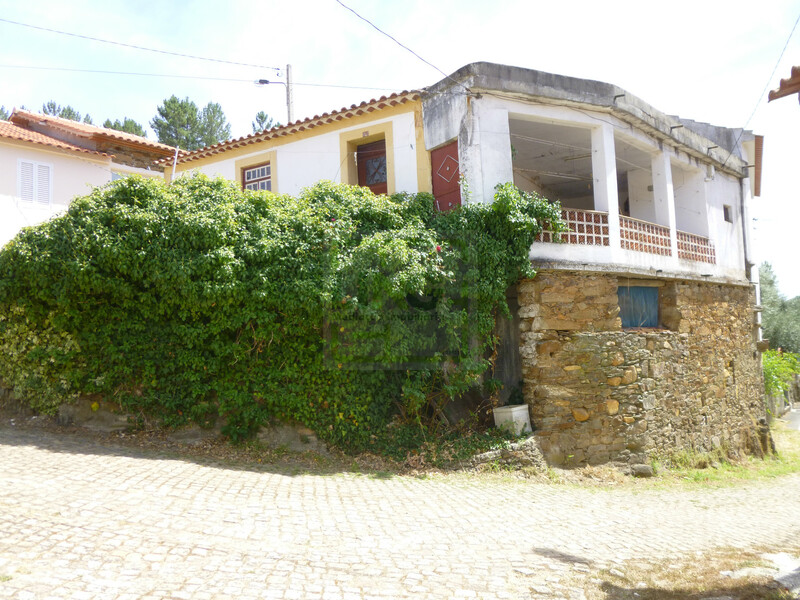 Characteristic village house for sale in Sesmo, just next to the river beach. Built in schist stone and consisting of 2 floors, with the ground floor designated as a “lodge” with slate floor and typical and original details of more than 100 years. On the first floor there is a living room, 2 bedrooms, kitchen, toilet and a terrace with breathtaking views over the river and the mountains. There is also a roof terrace. The front yard has a well with spring, old washbasin and flowerbeds. There is also a small plot of land on the other side of the street. It is located in one of the most beautiful villages of the Beira Baixa, next to a river and a beautiful river beach. Ideal for holidays, renting out, or permanant stay. About 20 minutes from Castelo Branco and A23.